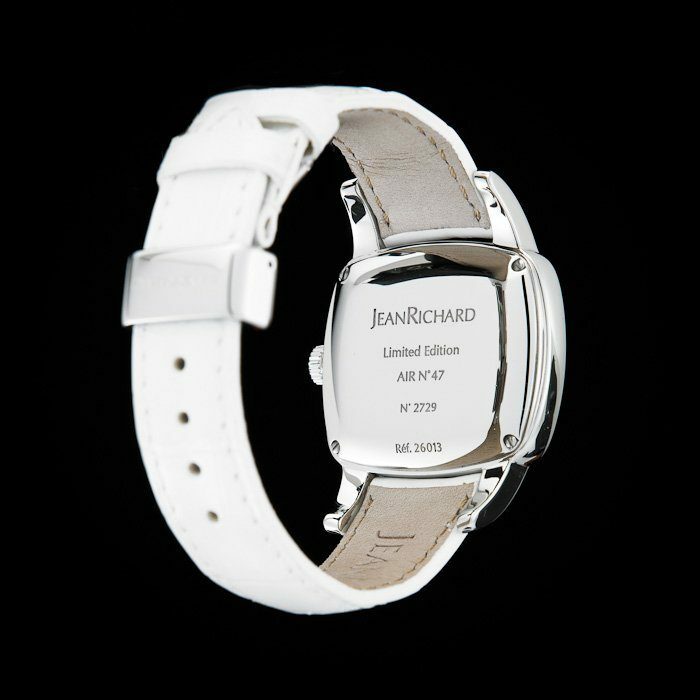 This JeanRichard timepiece is a special, all white “Air” Limited Edition model, not to be confused with the older “Daniel Jean Richard” line or the standard ladies lines. It is an amazing, rarely seen, high jewelry masterpiece, set with precious diamonds on the case, lugs, and dial, in a free, airy pattern that symbolizes the way the breeze flows. 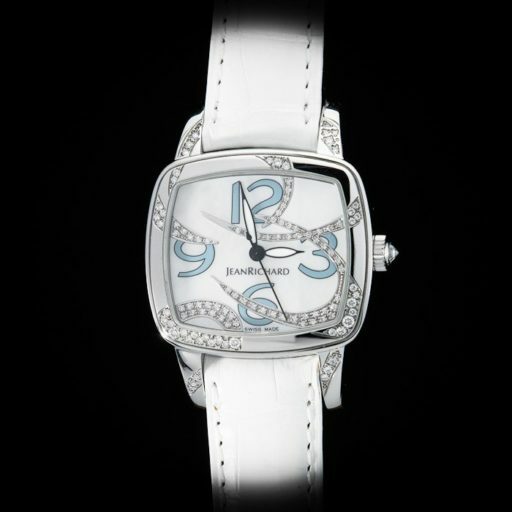 Its crown features a large treasured stone cabochon, and it’s stunning mother of pearl dial is absolutely mesmerizing! This ladies’ watch is from JeanRichard’s highest line, set with precious stones and decorated with intricate artistic patterns. 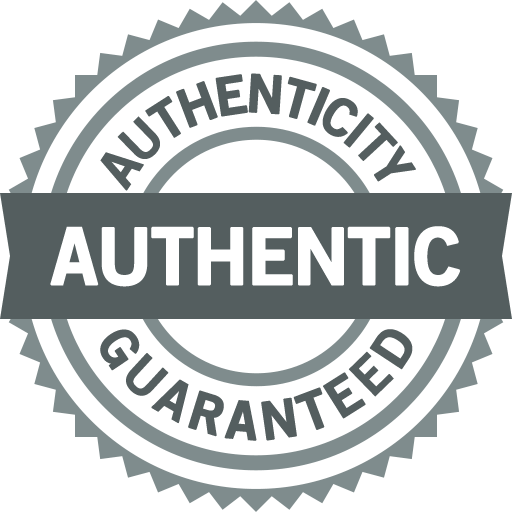 For amazing creations such as this, Jean Richard allocates the most resources, the best artisans, and their in-house jewelers. 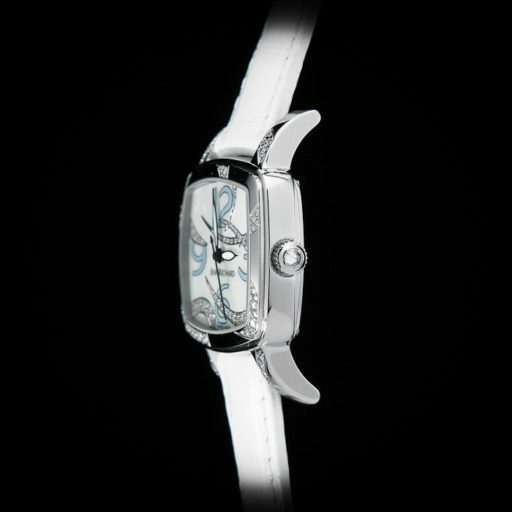 This is to ensure that the watches are well finished, and that the stones are the most brilliant, evoking strong emotions and inspirations. 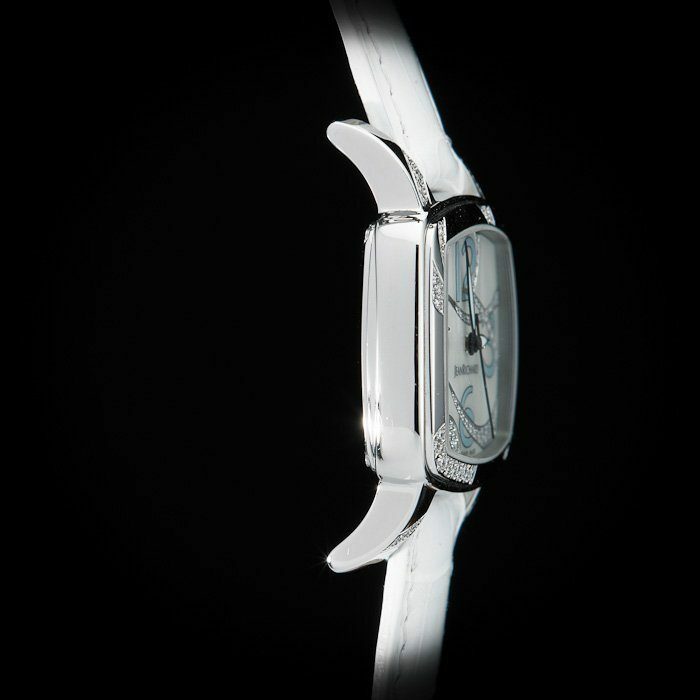 Due to the sheer amount of labor and the extremely high cost involved in making these dials and cases, the high jewelry pieces are made in very small quantities, many of them are limited editions, and are next to impossible to find. 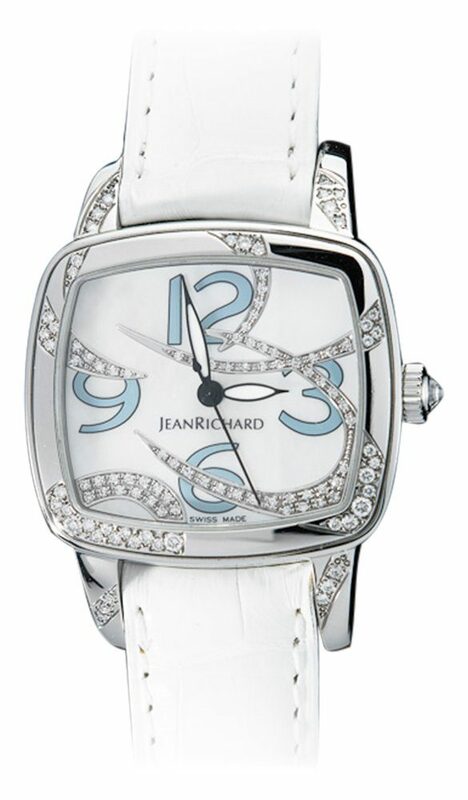 Don’t miss out on this opportunity to own the perfect contemporary sized watch that can function as a beautiful accessory for formal events as well as a casual stroll around town.